There are 17 species of native herbs and shrubs in California that are called sages. The genus Salvia, a member of the aromatic mint family, is not to be confused with the sagebrush, genus Artemisia, of the sunflower family. Varieties of Salvia are used in aromatic bouquets and are attractive to hummingbirds, butterflies and bees. Black sage, or Salvia mellifera, has foliage with a strong fragrance. It produces white flowers that stand out against its dark, bumpy leaves. It is found naturally on rocky, coastal slopes that face south and west. It attracts both hummingbirds and butterflies and is considered an outstanding source of sage honey. Death Valley sage, or Salvia funereal, is a rarely seen sage that grows in dry canyons that border Death Valley. It produces small violet flowers that grow from a calyx that looks like a fuzzy, white ball. Chia, or Salvia columbariae, is an annual that grows from small seeds that can be eaten. It commonly grows in chaparral and other areas that have been burned in brush fires. Chia seeds are popularly grown on ceramic figures as “pets.” If given room, chia can grow from 6 to 24 inches high. Cleveland sage, or Salvia clevelandii, is also called “blue sage” or “fragrant sage.” It is native to the chaparral and coastal scrub areas of northern Baja California and San Diego County. It has fragrant foliage with a pebbled texture, growing 3 to 4 feet tall and spreading up to 6 feet wide. It produces dark lavender or purple flowers from spring through late fall. Brandegee’s sage, or Salvia brandegeei, native to Santa Rosa Island, attracts both hummingbirds and butterflies. It grows about 4 feet tall and 4 feet wide with dark green leaves. It produces showy lavender flowers on a violet-gray calyx. Hummingbird sage, or Salvia spathacae, is also called “pitcher sage.” It has bright green leaves that are aromatic when they are crushed. Spreading from rhizomes, the plant grows from 4 to 12 inches tall in sprawling clumps. It produces flowers that are light pink, magenta or purple. Purple desert sage, or Salvia dorrii, is native to mountainous areas south to the Mojave Desert. It has grey leaves and holds clusters of purple flowers on spikes. Purple desert sage grows about 2 feet tall and 2 feet wide. When crushed, its leaves give an intense, minty aroma. Purple sage, or Salvia leucophylla, native to the southern California coast, has fragrant leaves and foliage. It grows about 3 feet tall and spreads 8 feet or more wide. 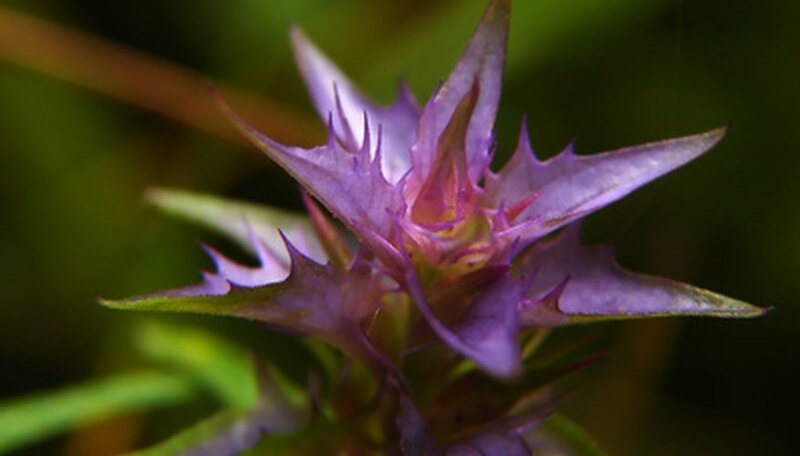 Its whorls of highly aromatic purple blossoms grow on large spikes.